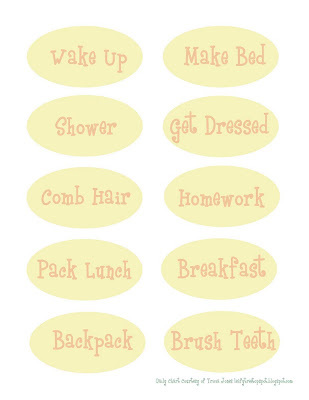 I don't have any kids gearing up to go back to school, but I know that many of you do. My sister has a daughter that will be starting all day kindergarten this year. She also has a three year old that will be starting pre-school. They are also preparing to welcome a baby brother later on this year. 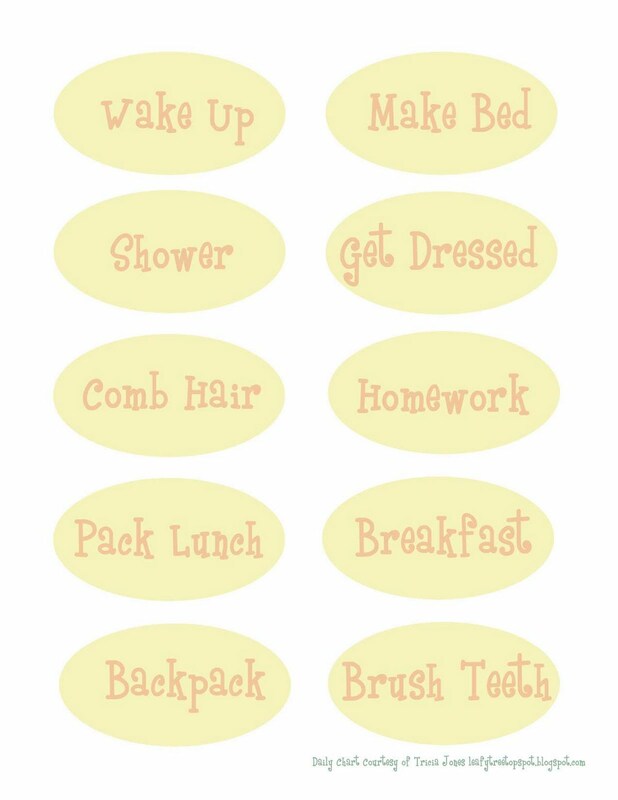 As a way of helping her daughters gain a bit of independence and prepare for the school year, my sister asked me if I would help make a chart for the girl's and their morning routine. I have kind of put this project on the back burner, but I realize that school is starting soon, and I best get my buns in gear. The sketches are quick , but hopefully this chart will help my little nieces track their morning responsibilities. 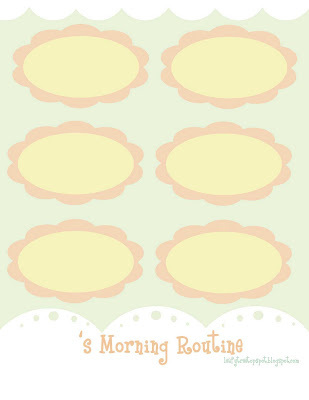 If you have little kiddos that need to adjust to a morning routine, this chart might just help. The printable file is 5 pages. The first two pages are charts. You can use them separately or combine them to be one large chart. 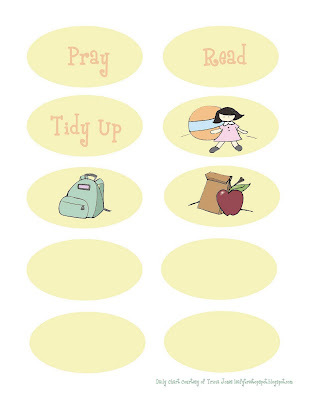 I have created several small images and accompanying titles for daily tasks. You can choose which tasks you'd like your children to complete in the morning and glue them to the page. I suggest glueing the words down to the center of the flower, and keeping the images separate. You can print off your chart, trim it if desired, laminate it, and attach velcro or magnets to the back of the image pieces. 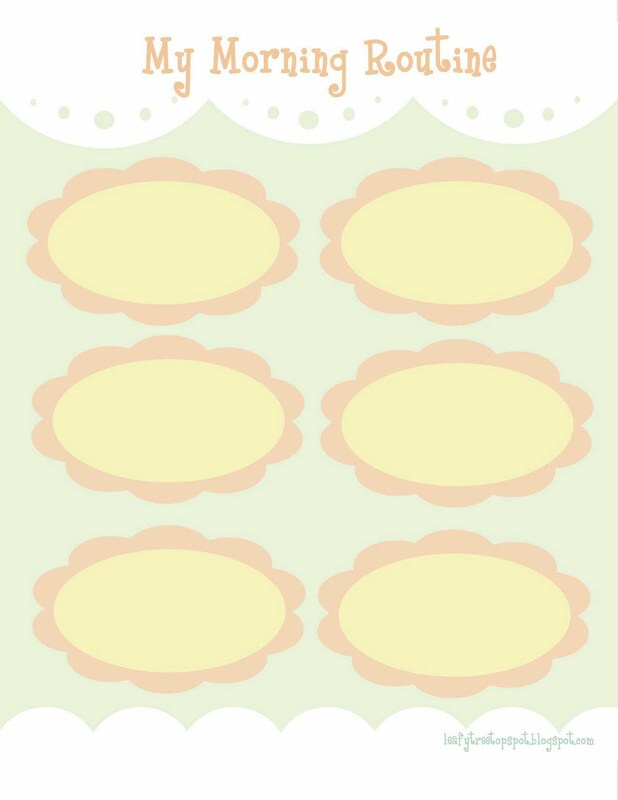 There are also 4 blank pieces so that you can customize your chart if desired. I suggest print the chart on a heavy weight matte photo paper. Print your chart off here. I hope that this is helpful. Hopefully it will help your children become excited and prepared for the school year. Thanks so much for posting! This will definitely come in handy at our house! I've wanted to do this forever, but have never gotten it together. You did all of the work for me--YAY! And, it is so pretty! Thanks! Thanks for doing this for me! Love ya! Good Morning. This is exactly what we need in our home! 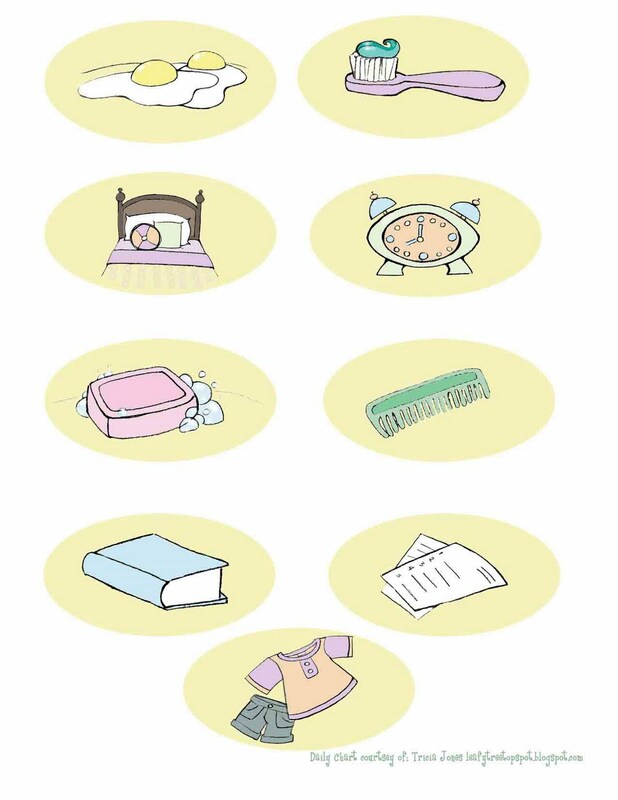 Thank you for coming up with such a cute idea and sharing it with us. This will be a great visual for my pre-schooler!! I wanted you to know I loved this idea so much I am featuring it today on my blog for Back-to-school Homemade Gifts. I found this via Pinterest and really wanted to repin/print but I'm wondering if it is supposed to cost $9? I think it is an adorable idea and I really want to use it! We want you to be 100% satisfied. That’s why we offer a 30-day pledge. within 30 days of your purchase. No questions asked.